What Makes Something a Neurotransmitter? The main thing to remember about neurotransmitters is that they are chemicals in the brain that are highly involved in brain function. You may have already heard of some before. Does serotonin or dopamine sound familiar? Both of these are important neurotransmitters. “The chemical must be produced within a neuron." “When a neuron is stimulated (depolarized), a neuron must release the chemical." “After a chemical is released, it must be inactivated. Inactivation can be through a reuptake mechanism or by an enzyme that stops the action of the chemical." “The chemical must be found within a neuron." “When a chemical is released, it must act on a post-synaptic receptor and cause a biological effect." 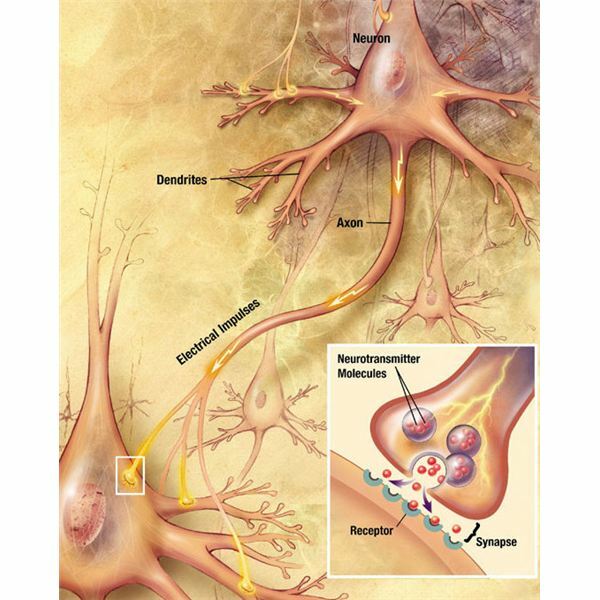 As you can see, there are many neuropeptide neurotransmitters, more than are listed here. Check with your teacher as to which neuropeptide neurotransmitters will be tested, which may not be included in the above list. Read the lesson plan that accompanies this study guide. Study up on the human brain, from basic anatomy to neurotransmitters and left vs. right brain thinking. Our science study guides provide all the hints you need to score high on your next test!